Whenever we deal with a product for the first time, we can’t help exploring it. And, in most cases, we jump to it without any technical guidance. Because we’re curious by nature and, oh well, just because we think we know better. 😉 This usually works when we talk about simple products. But things change when dealing with complex software such as VoipNow SPE; it has an extensive feature set and covers so many usage scenarios. Of course, eventually everyone will find their way through, but it’s a lot easier and more straightforward if you use the resources that we have created. 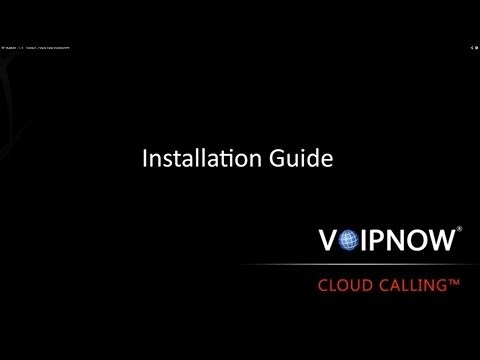 We thought that video tutorials on how to install and configure VoipNow SPE would come in handy if you evaluate or simply use our platform for the first time. We have uploaded 6 such videos on our YouTube channel to help you through the process. Please watch them in the recommended order because each represents one sequential step. Install VoipNow SPE – Whether it’s an evaluation license or a Service Provide license, you will find all installation steps in one place. Customize main or Zero Priority settings, as they’re called in the interface – Adjust SIP, charging, fax, monitoring, and integration settings to better suit your business. Set up SIP channels – Setting SIP channels is important because they allow you to make external calls. Customize rules for outgoing calls – Set rules to determine how outgoing calls are routed outside the VoipNow SPE system through the available channels. Set up charging plans – It’s important to establish from the very start a charging plan that covers charging permissions, charging fees, call destination exceptions etc. Create accounts – You will learn to create Service Provider, Organization, and User accounts with customized permissions and set up related phone extensions. Also, based on these tutorials, we have created a concise guide available on our WIKI platform, detailing what you’re supposed to do if you’re installing and configuring VoipNow SPE for the first time. Apart from immediate access to these videos, you can also read the transcripts and go through other recommended references that will help you better understand our product. At the end of this tutorial series, you should be able to make a call using VoipNow SPE as well as test other important system features. In the meantime, here’s a preview of the first video to help you with the installation. We appreciate comments on your first experience with VoipNow SPE. Also, do let us know what other video tutorials would be helpful to you so that we know what to prepare next. Enjoy!